5. 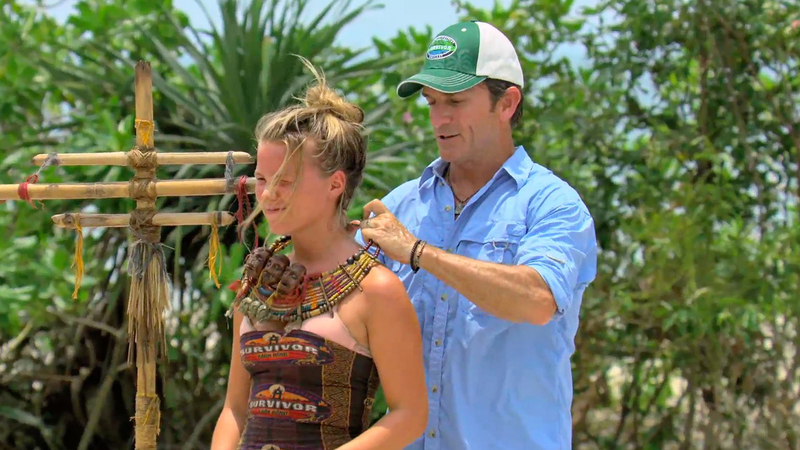 Slow and steady wins the race during the Individual Immunity Challenge. The latest Individual Immunity Challenge tested the castaways' skills of balancing speed and precision when they were asked to navigate through obstacles, then align large blocks and allow them to fall in sequential order like a game of dominos. When Michele's row fell short, it was Julia who knocked over hers first and grabbed the final win. Aubry watched on from a distance knowing Julia's accomplishment was the worst-possible scenario for her voting strategy, so what would the Massachusetts-based social media marketer do now?